The Maasai are a tribe of people who live in parts of Kenya and Tanzania and Kenya. When you are on a Safari, you can find them in majority of the famous attractions. 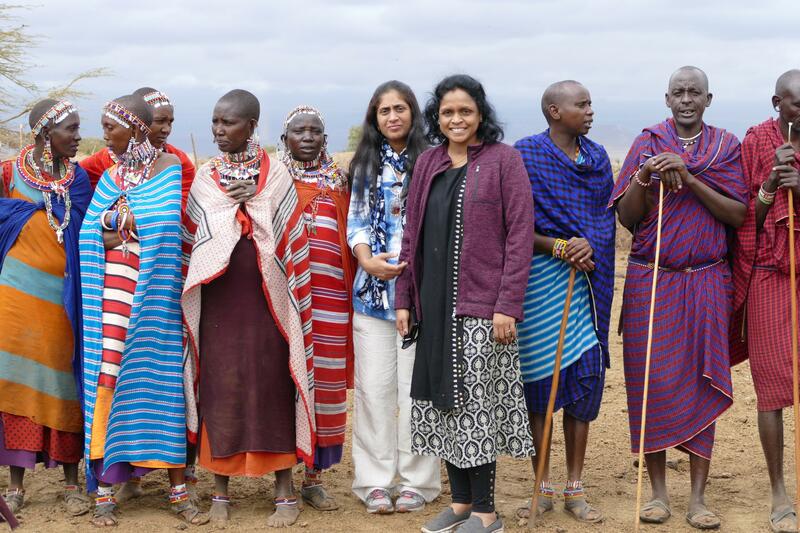 We visited Maasai people on our first Safari destination in Amboseli National Park,Kenya. The village was located very close to the hotel in Amboseli and was less than 15 minute drive from Serena Lodge. This is an optional visit and is not usually included in your Safari package. You let your safari guides know in advance if you are interested to visit Maasai Village and they take care of the coordination. 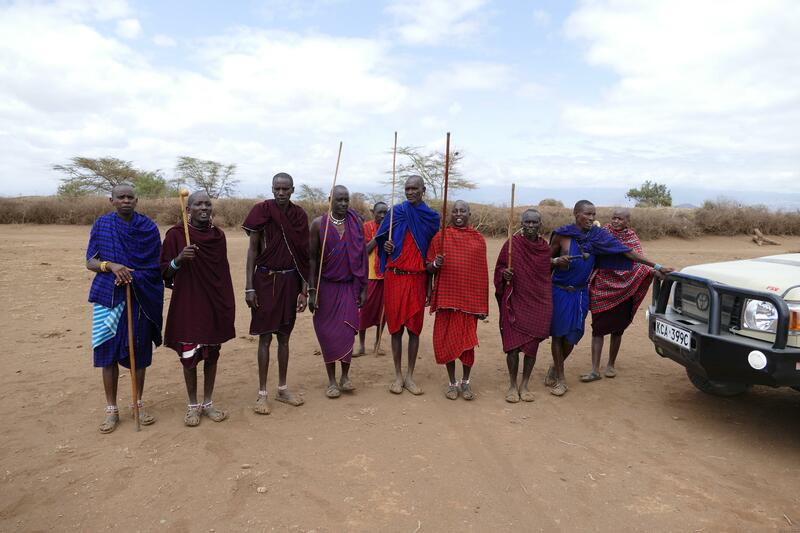 Maasai people are very tall and fierce warriors. They are dressed in colorful clothing mostly red and blue combinations and adorned with head dresses and handmade jewelry.They do live a nomadic life and constantly move from place to place with their cattle and families. When we reached the village, there is a village chief who collects 20$ entry fee per person for the welfare of their community. We don’t know if that money is really being shared with all of the villagers. 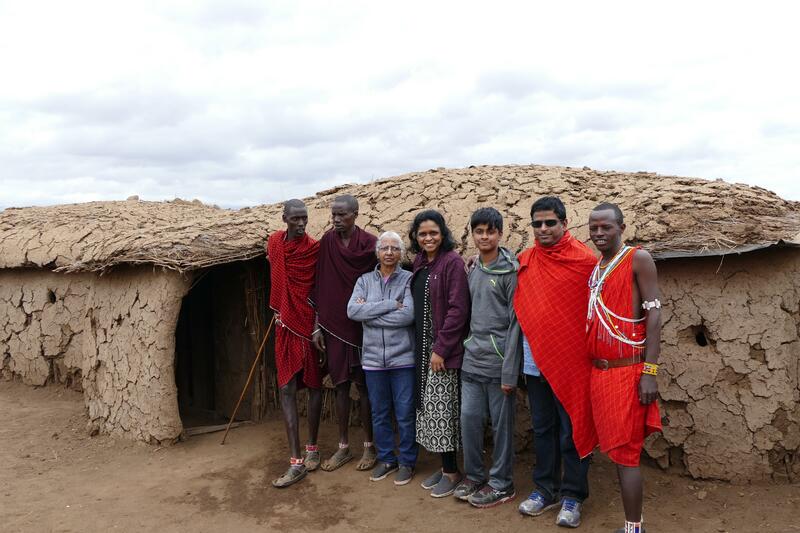 The 20$ entry fee allows access to the village, interact with the people and take as many photograph and videos with Maasai people. As we entered the village, we were welcomed with their traditional song and dance. They started with a prayer and performed their traditional song for us. You can join the Maasai men and women in their dance and follow their moves. The leader then walked us around to provide a tour of their village. He gave us an overview of their culture, family relationships, role of Maasai men and women, food traditions and role of the cattle in their community. 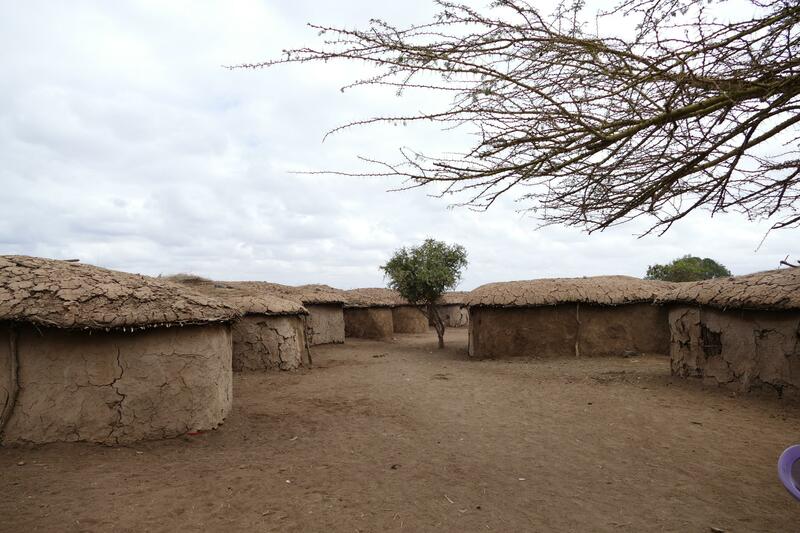 Maasai homes are basically mud houses with a cow-dung rooftop. Due to the cow-dung, there are plenty of flies all around the homes and most of the children faces covered with flies. They really don’t care much about the flies and leave them undisturbed. The Maasai live around their livestock and one of the important part in the village. The mud house is very small with a hard bed for the mother and father and a small space for the children. In between the beds, there is a fire pit for cooking. 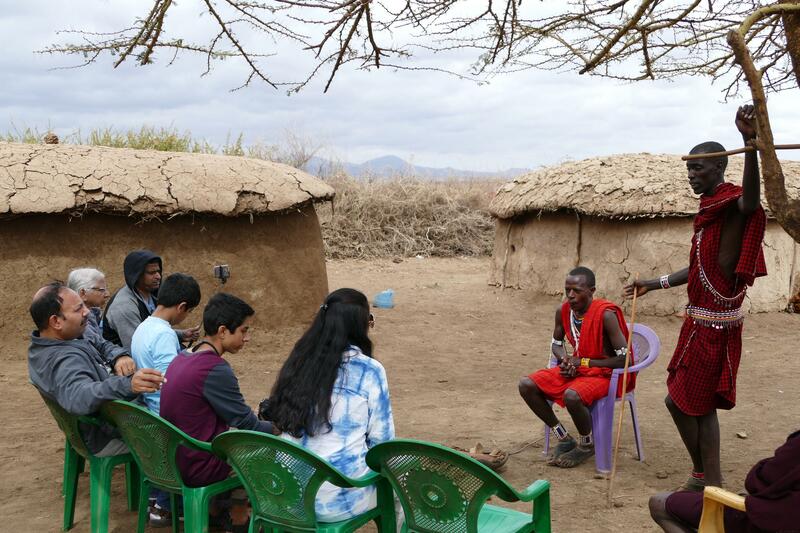 The Maasai men shared their medicinal practices and home-medicines that they follow within their community when someone is sick or bitten by a snake. They did a live demonstration of making fire with sticks. After the home tours, the village chief took us to their shopping place where the Maasai women had a display of the art work. 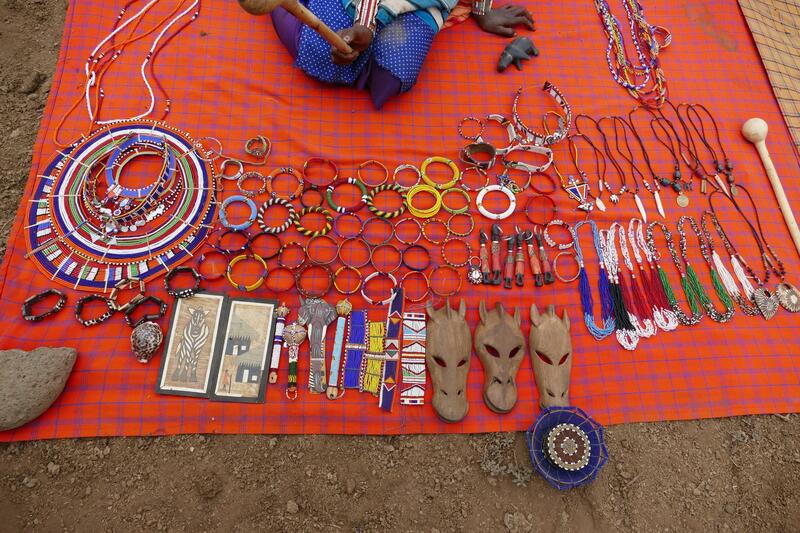 Each of the Maasai women had a display of jewelry ornaments, kitchen tools, art and painting works for sale. It was slightly an awkward moment for us to be in the shopping area as every family was calling out to buy their products.There were like more than 20 plus families selling their crafts and each of the Maasai men were trying to influence to buy the products from their mother or wife. It could get slightly annoying and you need to quickly get one or two items and move out of the place quickly. The village had a elementary school inside that is being funded by many volunteers across the world. The teachers are doing this as a service and need lot of help from non-profit organizations to fund and support them continue the service to these children. 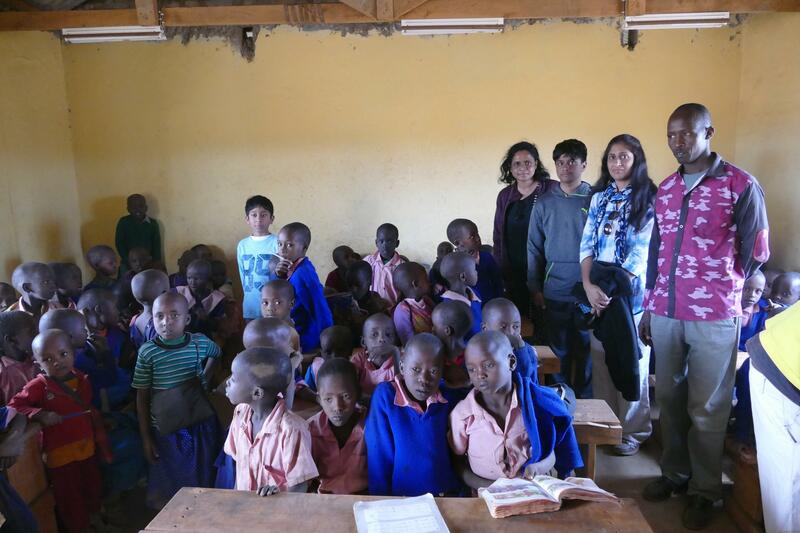 We met the children who sang few rhymes for us both in Swahili language and English. While it was tough to see these children family situations, it was great to see their passion to come to school and the great support they get from the volunteer teachers. It is a tough life for the Maasai community to earn a living as they are dependent largely on the livestock and the local craft-work. 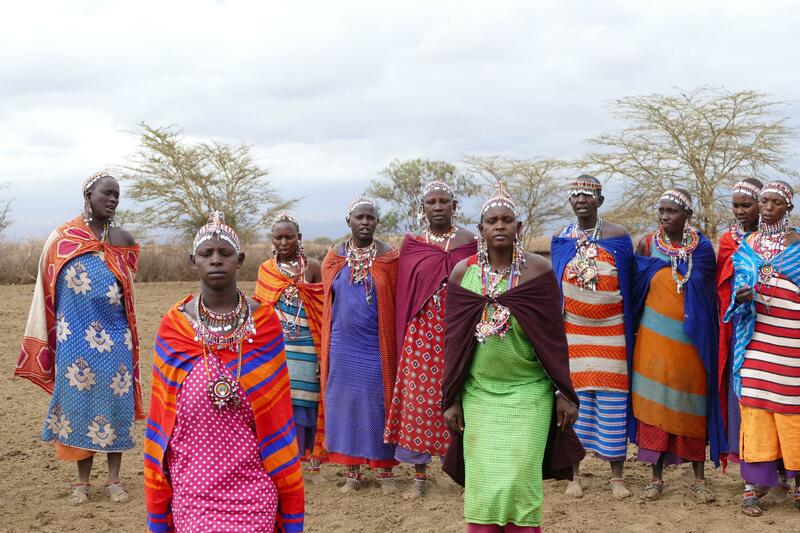 There are few Maasai people who are part of the tourism industry where you can see them working in safari camps and promoting their community through village visits. But the money does not get equally shared with all of the community members. 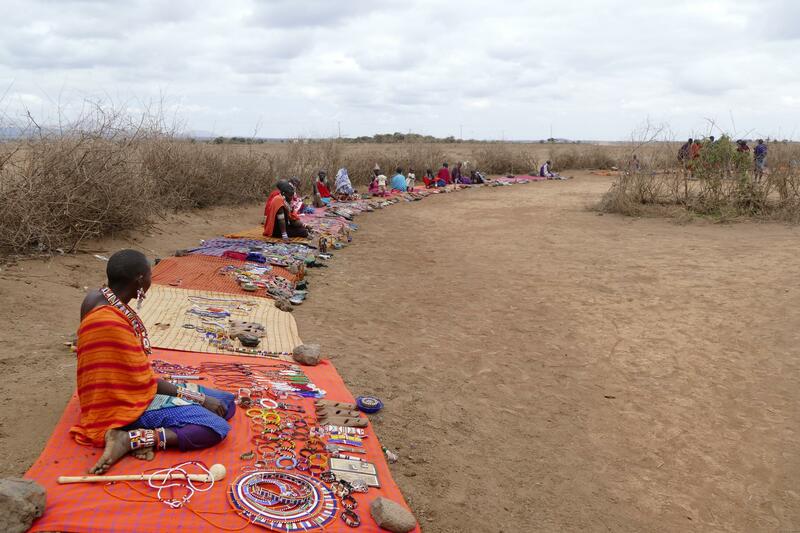 This pushes rest of the Maasai people to force tourists to buy their jewelry, art and souvenirs to the tourists at the entrance of every park. 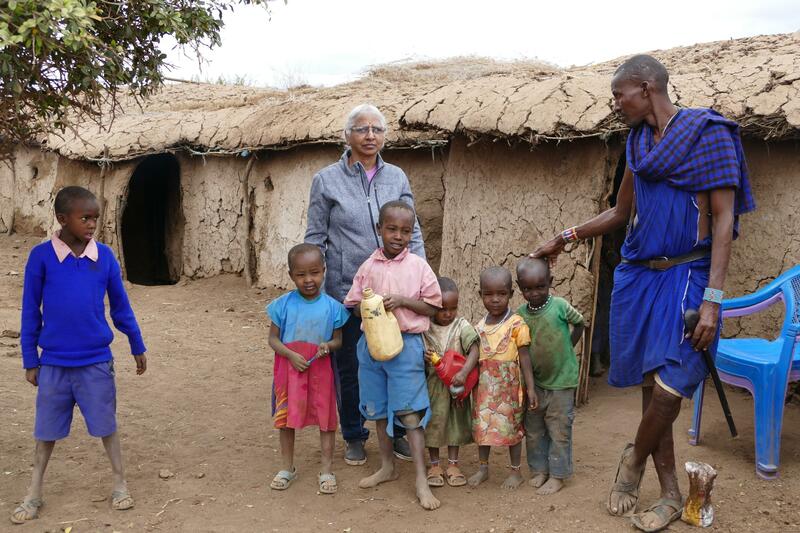 Overall I would recommend you to visit a Maasai village on your Safari trip. Irrespective of the cost involved and their influence towards selling their products, it was a good learning experience for me to learn and understand their culture and community.I was particularly impressed with their continued service towards educating the children and wanting to bring a change to their lives.